Lying 200 kilometres north of Brisbane and just off the Queensland’s coast is one of nature’s most perfect creations, Fraser Island. 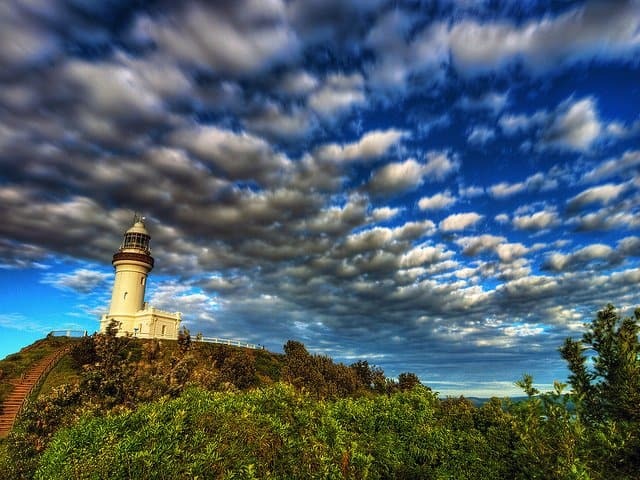 The World Heritage site and the largest sand island on the globe is also one of Australia’s most captivating beauty spots. 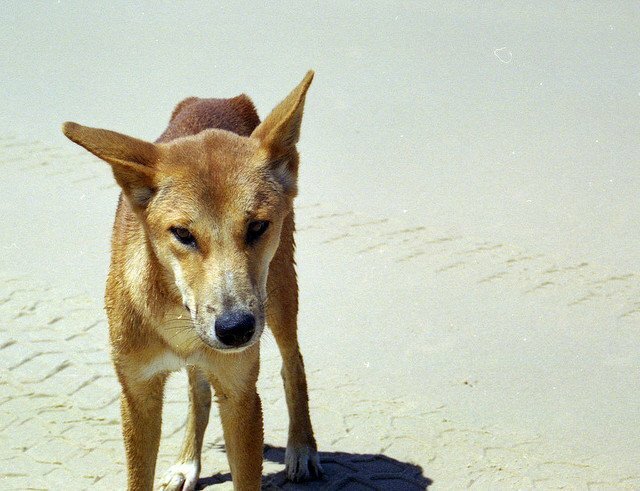 Developed over a period of 800,000 years, it’s famous for its brilliant blue freshwater lakes, crystalline creeks, giant dunes, ancient rain forests, colourful collection of wildlife, 4WD camping expeditions and everyone’s favourite wild dog – the dingo. 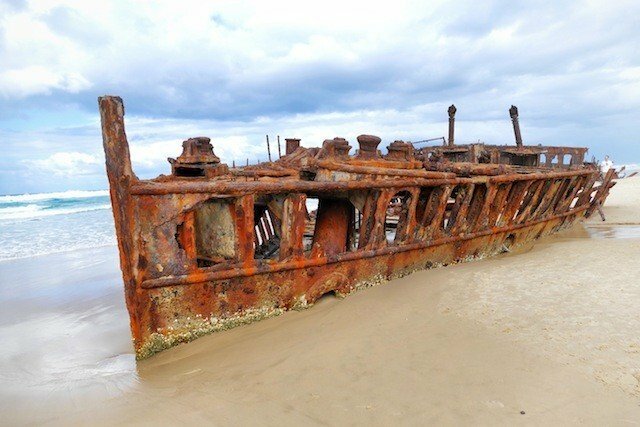 In true island style it even boasts its own striking shipwreck, the elegantly rusting SS Maheno. 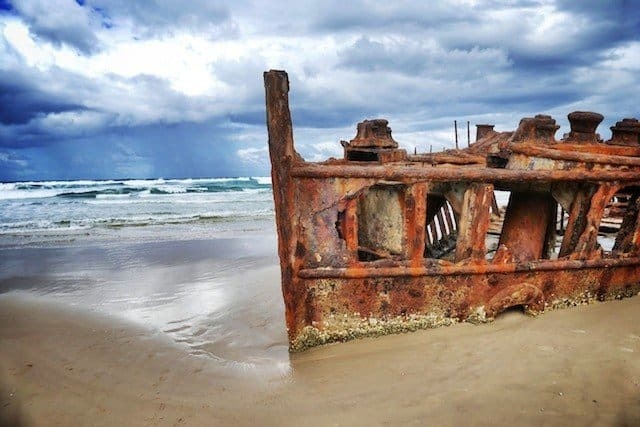 I first fell for Fraser’s island’s alluring charms as a gap year backpacker 15 years before but last month I returned as guest of Queensland tourist board swapping camp fires and a rucksack for a more upmarket eco resort. 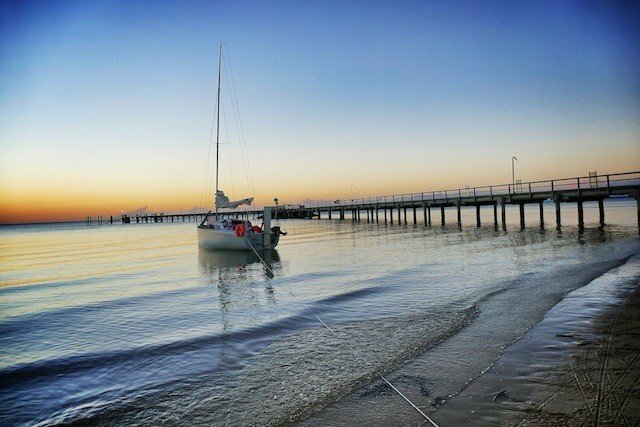 After crossing Hervey Bay (the expanse of water which separates Fraser Island from the Queensland coast) via a short ferry ride I settled into my eco friendly, island based accommodation – the multiple award winning Kingfisher Bay Resort. 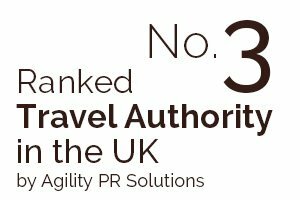 I was told that they preferred to be described as more ‘comfortable’ rather than ‘luxury’ but I think they are just being modest, I was in awe. 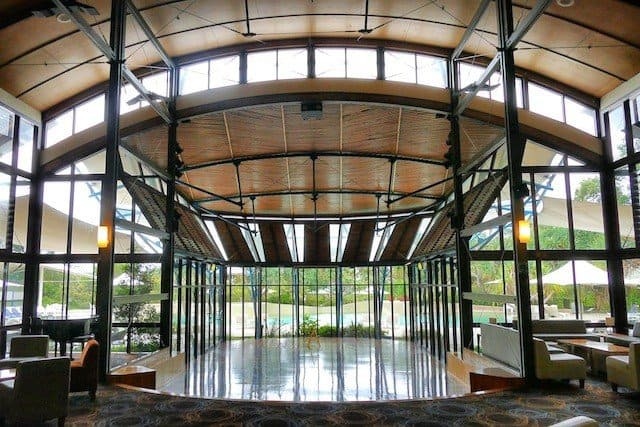 The hotel (which was created to have minimal impact on the environment) was a stylish and forward-thinking union of glass, stainless steel and dark timber and the large striking glass lobby immediately caught my attention as I walked though the front entrance. The resort has also admirably secured a particularly beautiful corner of the island, with the tranquil Kingfisher Bay being the main highlight of the area. The bay is a place best viewed at dusk as this is when guests hurry down to see the early evening sky come alive in a cacophony of colour, from bright oranges to hazy pink and purple hues, often from the comfort of the jetty hut. The resort offer an extensive program of guided walks, talks and 4WD tours and I opted for the aptly named Beauty Spots Tour which consisted of a fun day off-roading, hitting all the main island highlights courtesy of 4WD bus, a series of very bumpy sand tracks and our tour guide Peter who skilfully negotiated the tough peaks and troughs of the trails with a few jokes thrown in. Our first stop was Lake McKenzie, a vast freshwater lake which is one of the cleanest in the world and its sugar white sand and windowpane water encouraged almost of all our group to take a dip. At a just a short distance the lake appeared to be such a strikingly vivid turquoise it had an almost otherworldly appearance – definitely a place which has to be seen to be believed! Next was Wanggoolba Creek which was located in an ancient rainforest valley in an area called Central Station. This place was an ecologist’s dream. The creek is fed by a natural aquifer that is exposed to the outside elements several kilometres inland and the waters which flow through the valley are stunningly crystal clear. 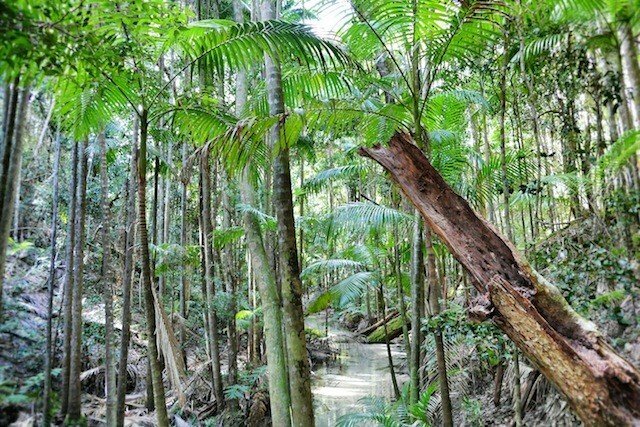 We took a 30 minute bush walk through the surrounding unspoilt rainforest where majestic 1,000-year-old trees sprouted from the sand. 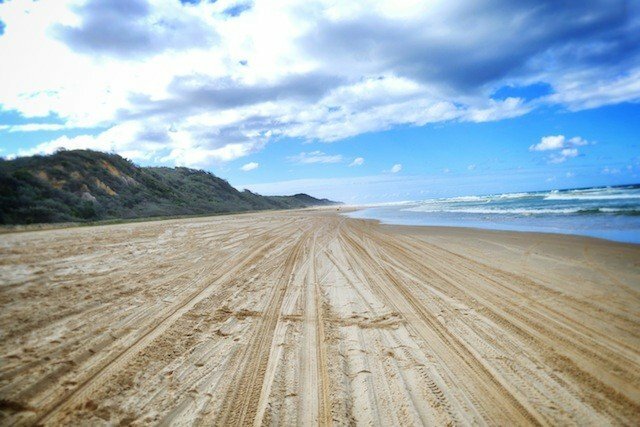 Easily one of the most exhilarating moments of the trip was the high speed drive down the wide yellow blanket of sand which makes up ’75 mile beach’ – an experience I’m unlikely to forgot in a hurry. With no real roads on the island, the beach is like a freeway of sorts only much more thrilling and far more easy on the eye. 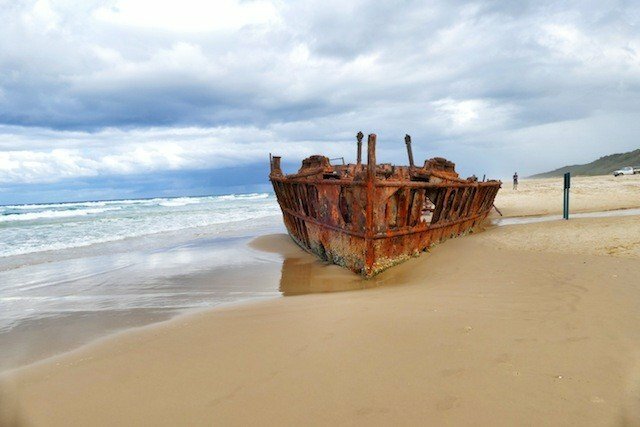 Breaking up the long narrow expanse of sand is the decaying wreck of the ill-fated S.S. Maheno – a ship which was driven ashore during a cyclone in 1935. The striking rusty reds juxtaposed against the bare sand and choppy azure seas makes for a hauntingly beautiful – if not a little eerie – attraction. 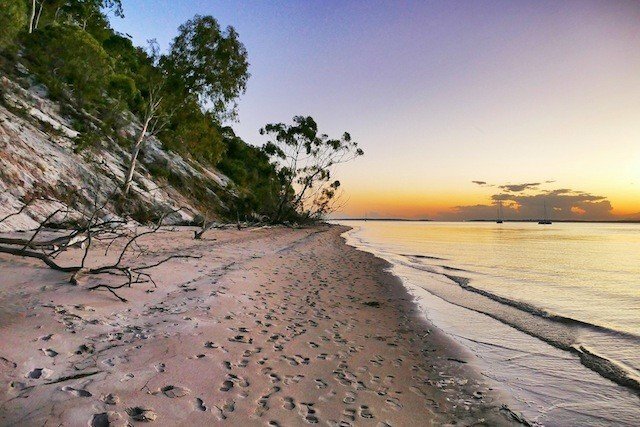 In a state awash with beautiful natural scenery planning your itinerary can be a tricky task, but Fraser Island still remains an unmissable stop on a trip to Queensland. 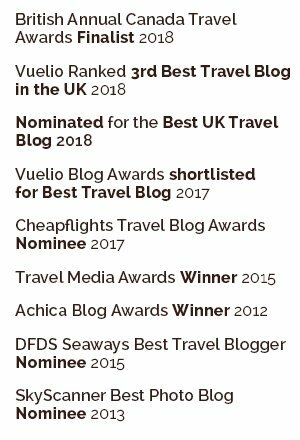 I may not have spotted even the smallest glimpse of a dingo, but my second visit to this unique island left me with a fresh collection of special memories and a renewed love and passion for a place I first visited over a decade before. 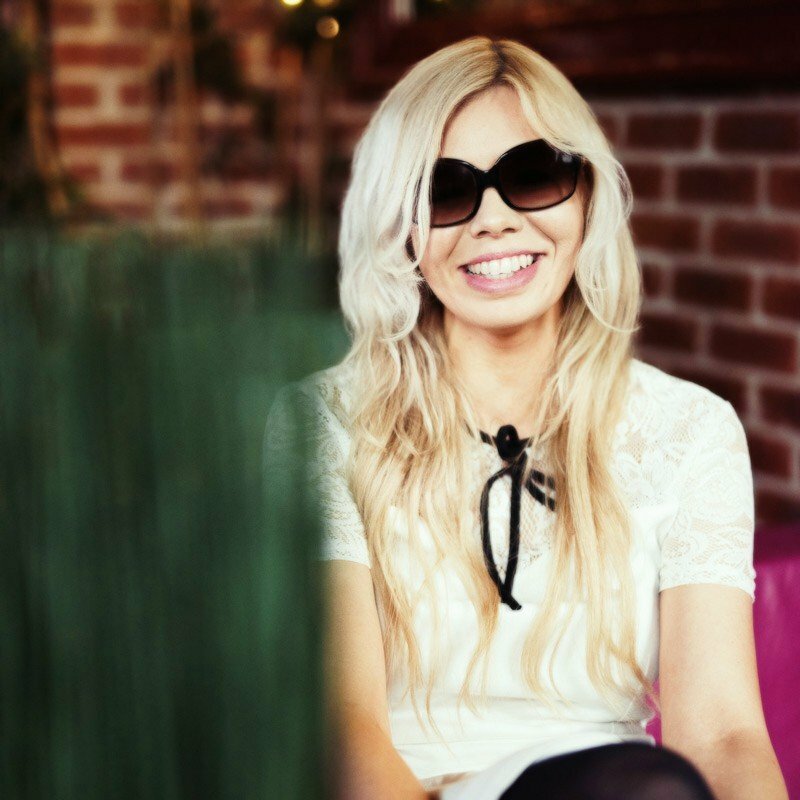 All words and images by Becky Padmore. I was a guest of Queensland Tourist Board but all my opinions are my own. 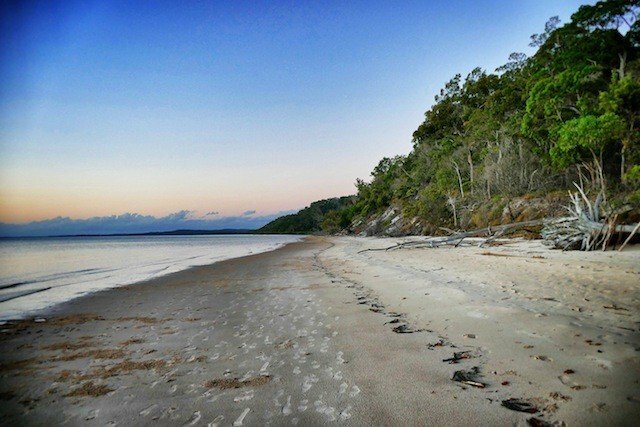 What gorgeous photos of Fraser Island – one of our fav places in the world too. Love this place and every time I stumble across beautiful words about K’gari my heart skips a beat. You have some great pictures of the island. Thank you for sharing with us. What a fantastic set of photos I’m really impressed, I’m loving the look of Fraser Island! You really do write a great yarn! 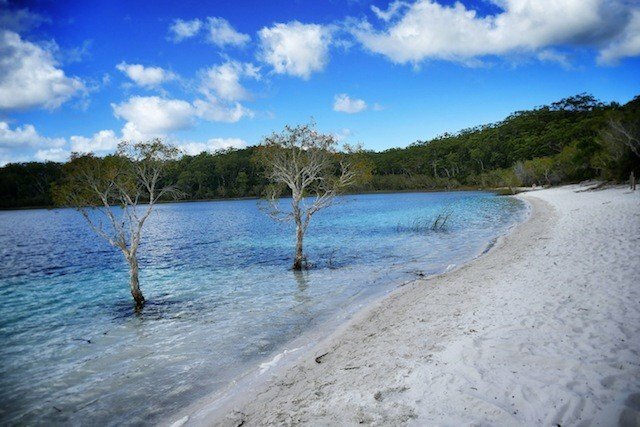 Fraser Island looks like a really brilliant place to visit! Just another reason why I need to go back to Australia. Love your photos and the Kingfisher Bay Resort looks amazing too. Thank you! Yes the resort was incredible such a lovely place to stay! What a stunning looking travel destination, I’ve heard so much about it but I think it’s about time I go! I never knew it was a World Heritage location. I haven’t been before but it looks stunning and I bet that gorgeous resort felt worlds apart from the backpacking trip you had made there before! That’s the place I wish I was at right now!!! Absolutely beautiful!! Absolutely stunning photos, shame you didn’t see a dingo but these scenes more than make up for it! What a place to visit! Wow such beautiful photos! I’ve been to Australia but not Fraser Island unfortunately looks like I’ve really missed out, what an incredible looking place! Thank you, yes it is an incredible place! 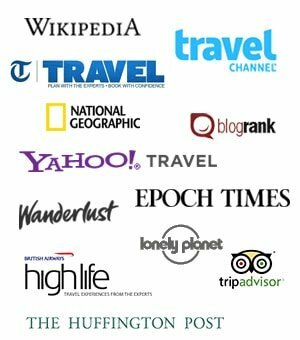 This article is really making me want to go back, I went as a backpacker last time so maybe I should try the eco resort next. You should Scott you would love it! Great place for holidays and is really incredible. The bush walk must have been amazing, as well as the high speed drive on sand, did you drive or did you have a specialist driving? Think I’d be worried about skidding if I did it myself! 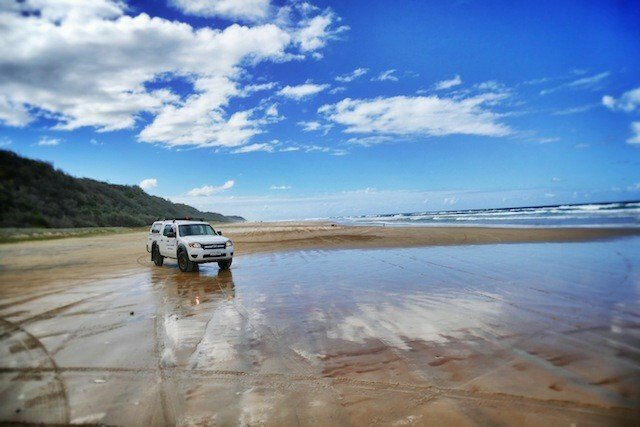 I love to roam on Fraser island with my wife. I am planning a trip to some romantic place for our second marriage anniversary, and this will be the perfect place for this. 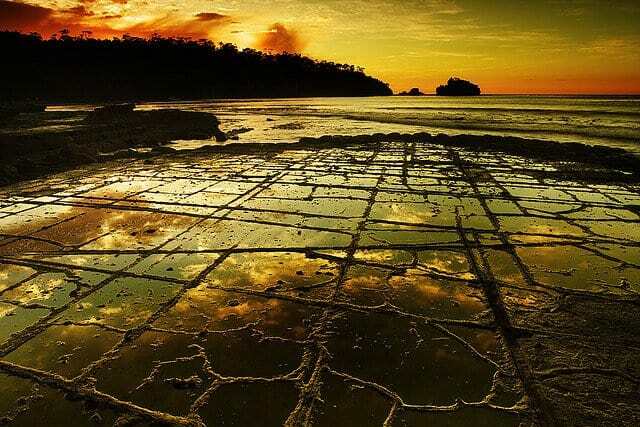 And the second photograph of a sunset with people’s footsteps on sand is amazing! It says a lot of things. wow, You have some great pictures of the island. We are planing on going there next year and enjoy the island. Thanks for sharing. again awesome pics. Thanks, hope you have an amazing time Marc! Ahh great minds and all that 😉 I saw them on the first visit so I know they are there somewhere! Great pictures, sounds a wonderful place to visit.